Ah, the forager’s delight. Being able to create something from nothing. Well, not nothing but something free! A quick look in the fridge at the weekend revealed half a cos lettuce, which was going to make quite a sorry salad on it’s own if we’re honest. Instead of rushing out to the shops I took a leisurely stroll to a local park and collected all I needed for a considerably more interesting salad. This time of year is fantastic for wild food and one of the simplest to recognise and most abundant is wild garlic. I’ve heard people say wild garlic goes well in salad. Having imagined chewing on a raw garlic clove I had always shunned the idea but mixing it up with some other leaves and the considerably milder taste meant the wild garlic did indeed go well in the salad. Dandelions need no introduction either. We recognise those spiky leaves almost from childhood when we used to play “What’s the time Mr Wolf?”. On their own they can be quite bitter and this is the reason I’ve not gone for them in a salad before. Turns out they complement the wild garlic and primroses very well. That’s right. You heard me. Primroses. 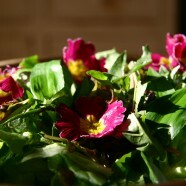 They are one of many edible flowers and one that a lot of us recognise. Boys, ask the lady in your life if you’re not sure. Another great thing is at this time of year you find them growing wild all over the place. Moral of the story: Free food is always better than food you’ve paid for. Give this salad a try. 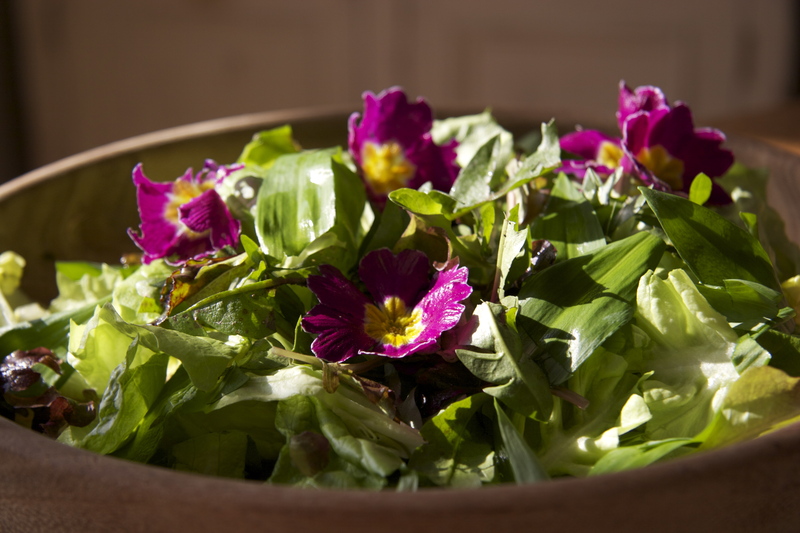 Half a lettuce (it doesn’t have to be cos), handful of dandelion leaves, handful of wild garlic leaves and a handful of primroses. Let me know if you’d like to know more about foraging. I would genuinely love to read more about what you can forage around north Cardiff, and have a go sometime. Sound like a possibility? I’ll gladly take you out! It’s almost wild garlic season.